New – Learn the features and capabilities of Cisco's next-generation Nexus switch. 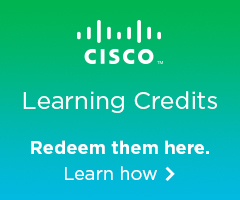 The DCINX9K - Introducing Cisco Nexus 9000 Switches in NX-OS Mode v2.0 course shows you how to implement, manage, and troubleshoot Cisco Nexus 9000 Series Switches in Cisco NX-OS mode. 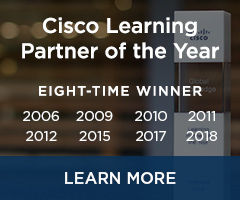 Through expert instruction and extensive hands-on learning, you will learn how to deploy capabilities including Virtual Extensible LAN (VXLAN), Multiprotocol Label Switching (MPLS), high availability features, Intelligent Traffic Director, troubleshooting tools and techniques, NX-OS programmability features, and open interface technologies. The course also provides an introduction to Cisco Data Center Network Manager (DCNM) for management.